Devon and Cornwall’s Police and Crime Commissioner Alison Hernandez has pledged an extra £200,000 funding to increase CCTV capacity across the force area and encourage the development of monitoring ‘hubs’. The initiative is highlighted in her newly published Police and Crime plan. “I want to support local authorities to better monitor their existing systems. It’s very much about building them into a hub, where you’ve got excellent staff monitoring CCTV on behalf of local authorities. • Safeguarding vulnerable people – including lost children, individuals with mental health problems, elderly people who may have gone missing, individuals who have been drinking with friends and have become detached from them. Local authorities can face challenges in establishing and maintaining local CCTV systems – in particular the capital purchase of equipment and the complexities and costs associated with monitoring systems. A centralised CCTV monitoring hub and service is provided by Cornwall Fire and Rescue in Tolvaddon. 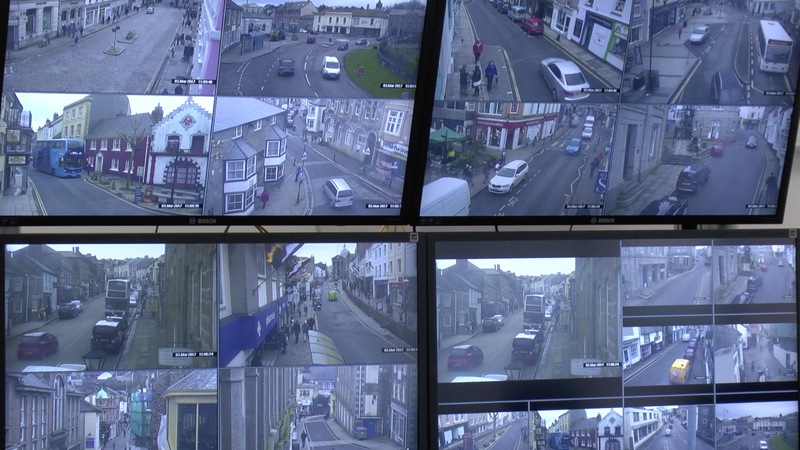 With 9 Cornish towns currently connected in, and the capacity to extend it significantly, this initiative has already gone a long way towards rationalising CCTV provision in Cornwall. “I think this is a fantastic opportunity to team up with the Police and Crime Commissioner who is totally committed to the systems and is prepared to put money towards the capital investment of it.” said Cllr. Geoff Brown, Cornwall Council’s Cabinet member for Communities. “I welcome the Commissioner's commitment to CCTV.” said Cllr. Tom Wright, East Devon District Council. • Commitment to support local authorities that wish to invest in CCTV systems. • PCC’s approach will be to provide a contribution to capital investment costs (not revenue). The focus will be on supporting the creation of interconnected, high quality and sustainable systems. • The PCC has committed to providing ‘up to £200,000’ over the lifetime of the Plan. • The PCC will make investment decisions through a clear process – advised by a CCTV Investment Advisory Board. • All local authorities will be given a further opportunity to express an interest in becoming a ‘hub’ and/or taking services from a hub. • Devon - the focus will be on delivering ‘monitoring hub’ capability across Devon and then supporting local authorities who wish to connect their CCTV systems into a ‘hub’. A range of options are being considered with partners – including the expansion of capacity at the existing CCTV centres and the creation of new monitoring hubs. • Cornwall, the existing ‘hub’ at Tolvaddon has capacity and so the focus in Cornwall will be on supporting local authorities who wish to connect their CCTV systems into the ‘hub’. If demand levels require an expansion of existing infrastructure at Tolvaddon then PCC contributions will be considered. • The Commissioner is not opposed to independent, volunteer led systems but the focus for the CCTV Investment Strategy in Year 1 remains on the creation of and connection to “hubs”. The potential to provide any wider support will be considered at the end of 2017/18.